← OPEN LETTER TO INTER-GALACTIC EXTRATERRESTRIAL VISITORS! 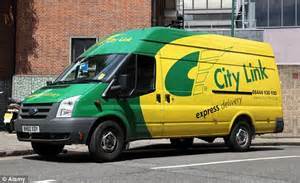 CITY LINK COURIER COMPANY GOES BUST! Better Capital, the private equity form behind City Link have called time on the operation, a company Better Capital bought for £1:00 in April 2013, a courier company that presumably only ever lost money? Once again however it is left to the British Government, using taxpayers money to shell out redundancy payments for 2,700 employees! What the hell is going on? Either City Link is a private company, or it is not? Furthermore, no mention has been made of the 54 City Link ‘leased’ depots around the country. In whose name are they, Better capital, or City Link? Can the leases be reassigned, and if so, to whose benefit? Private equity rarely makes a loss on anything! Posted on December 30, 2014 by lubkin2013	• Bookmark the permalink.